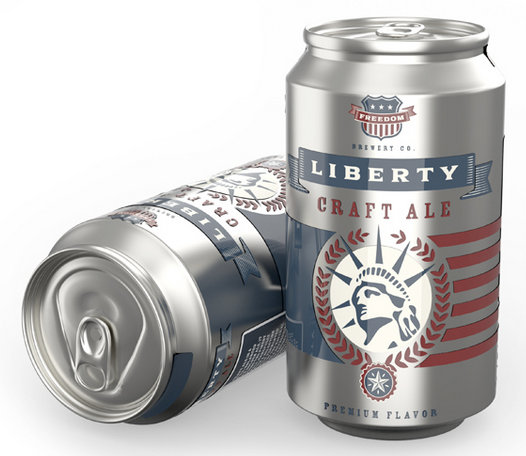 NewFormat AB - OpenFormat - Products and Support Services - Creative Edge Software - iC3D Suite & iC3D Carton Edition. 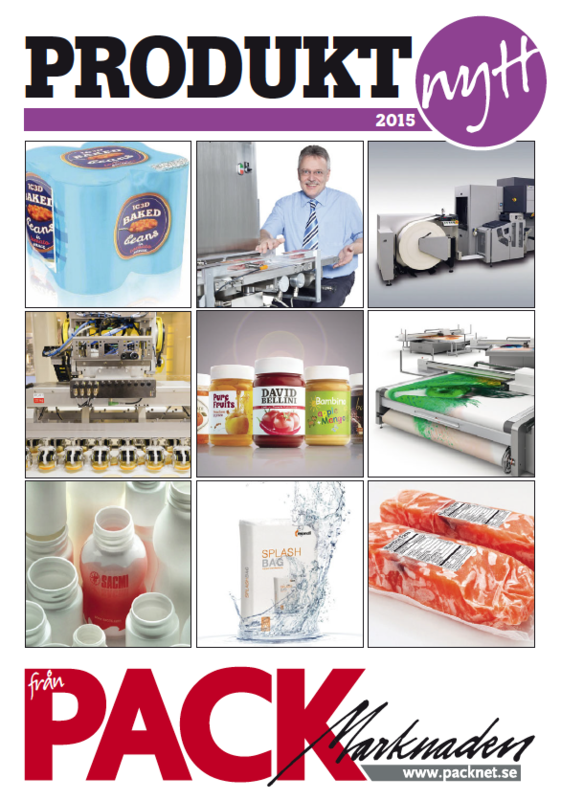 in the packaging, labelling & imaging markets. 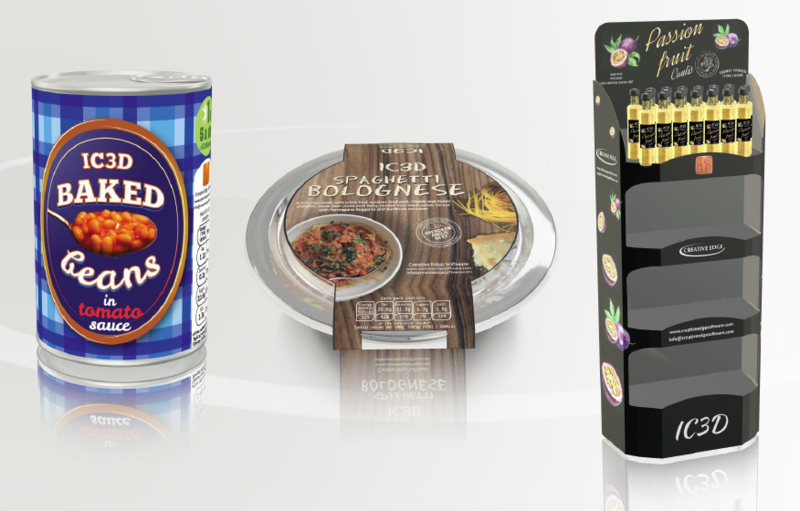 Create shareable real-time 3D digital packaging design mockups with iC3D. 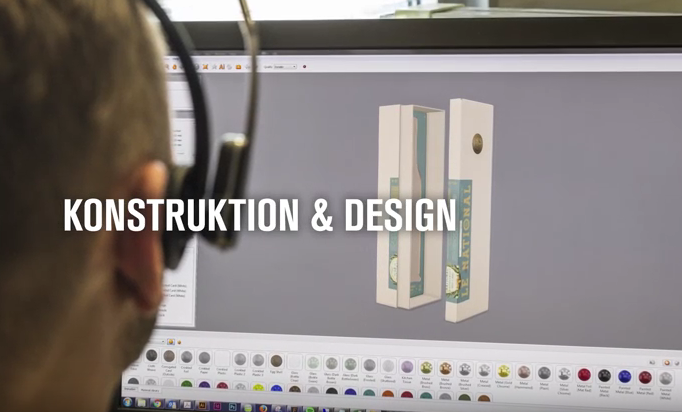 Purpose-built for all types of packaging design. 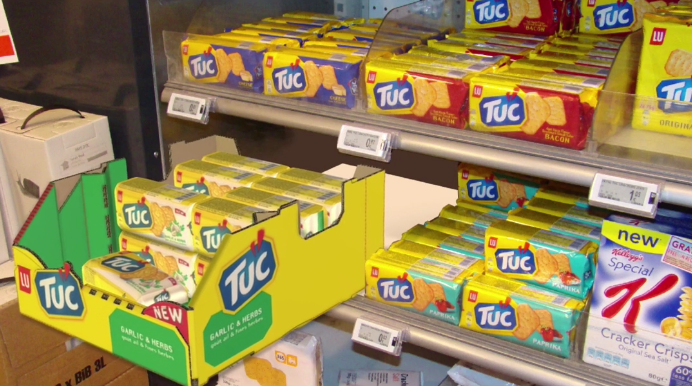 Create stand-alone or on-shelf visualisations. 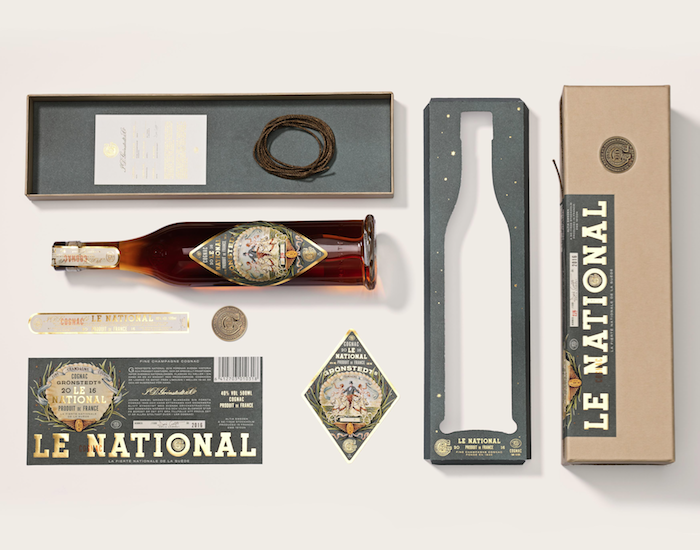 Render lifelike packaging and display settings in real-time. Seamless integration with Adobe Creative Suite. Shrink correct and shrink render in real-time. Share 3D content using any browser, OS or graphics card. ArtiosCAD, Esko Designer, Esko Toolkit, Esko Visualiser, and Esko Store Visualiser. 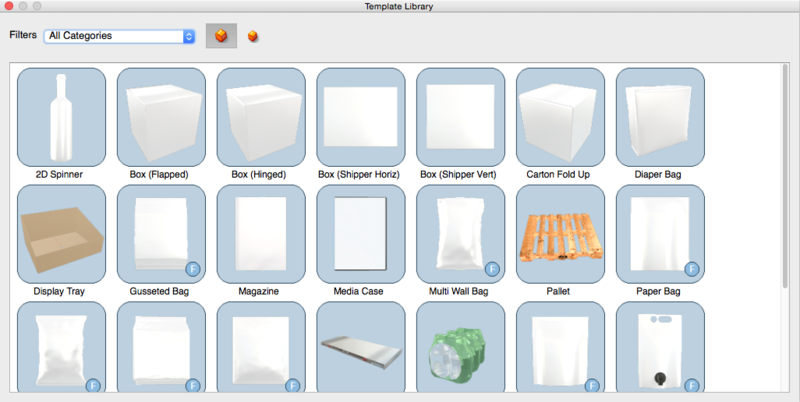 iC3D Suite offers a wide variety of templates and tools for creating own models. 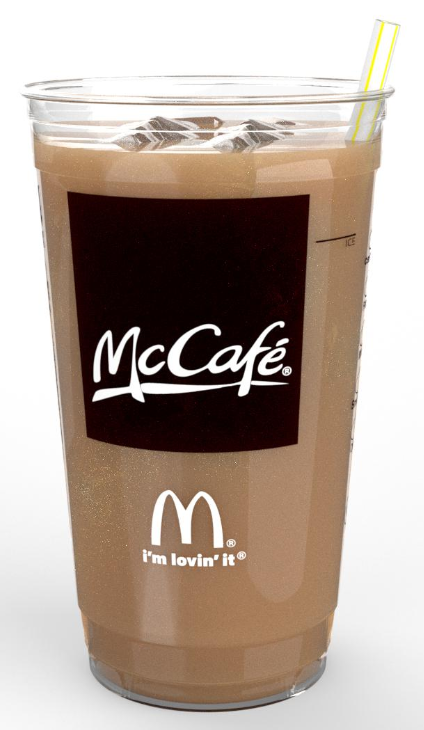 an imported model created in a third-party application. directly, in real time, mapped onto 3D models as base artwork or as labels. 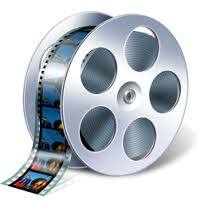 compressed movie files that can be shared or put on compliant websites. 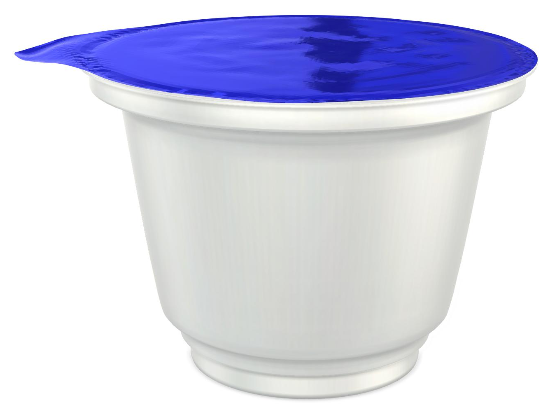 Milkshape 3D (MS3D), STL (Stereo Lithography 3D Printer files). Adobe Acrobat 3D Toolkit, Bunkspeed, Electric Image. 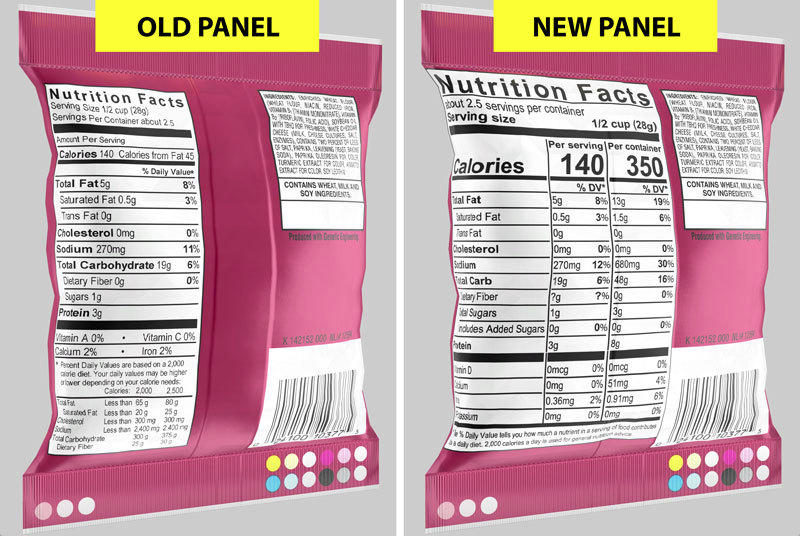 Eye tracking to measure the impact of new packaging design. Industry leading eye tracking services from Need Insights. 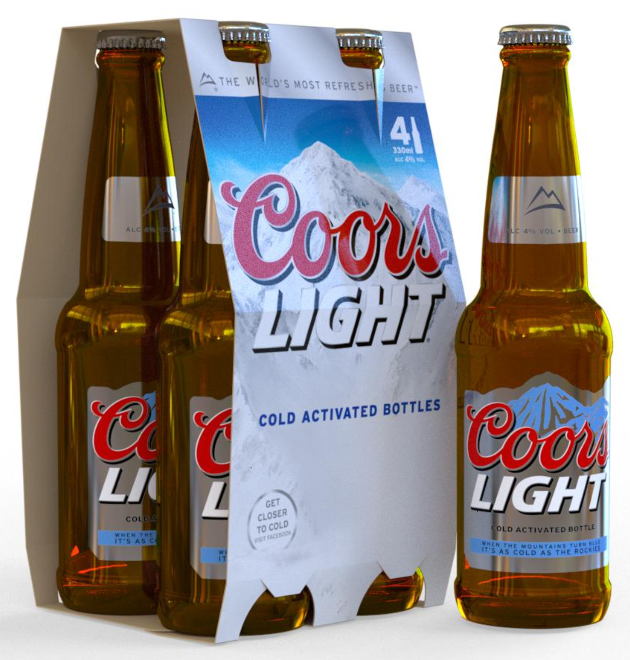 Measures the impact of innovative packaging design and consumer behavior. New Packaging Designs for Unilever/Comfort Intense brand. Color Conference 2015, Phoenix, USA. thanks to support of STL (Stereo Lithography) files in iC3D. “iC3D Suite was easy to learn. “iC3D is a great complement to our existing group of tools. "The cost of fabricating physical prototypes hindred us. 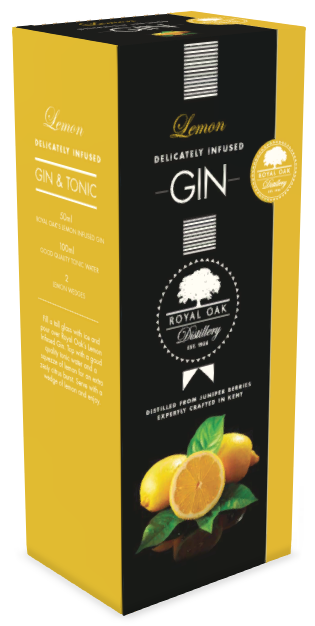 "Creative Packaging Design with 3D Visualisation"
"Think out of the box!" 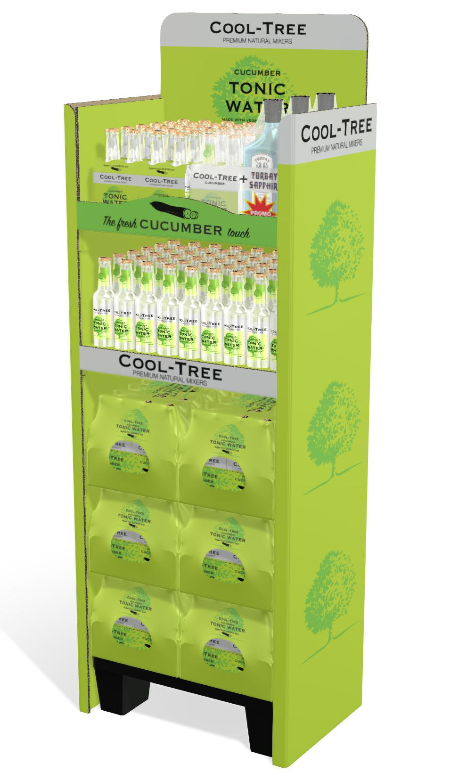 application that combines multiple packaging disciplines in one product. 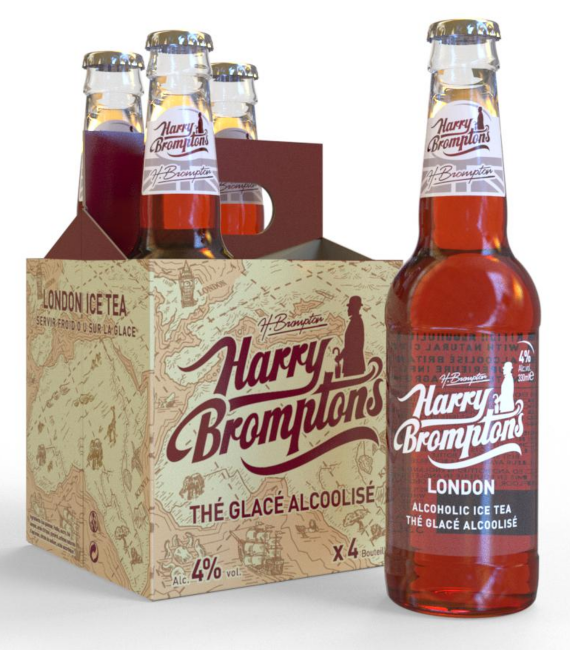 into cartons or flexibles or bottles or store visualisation. 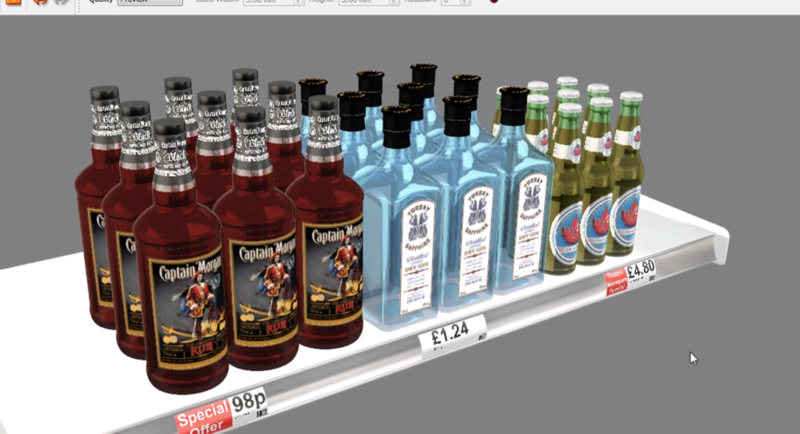 materials using image based lighting (IBL) in simulated virtual retail environments. UVW mapping of texture coordinates. 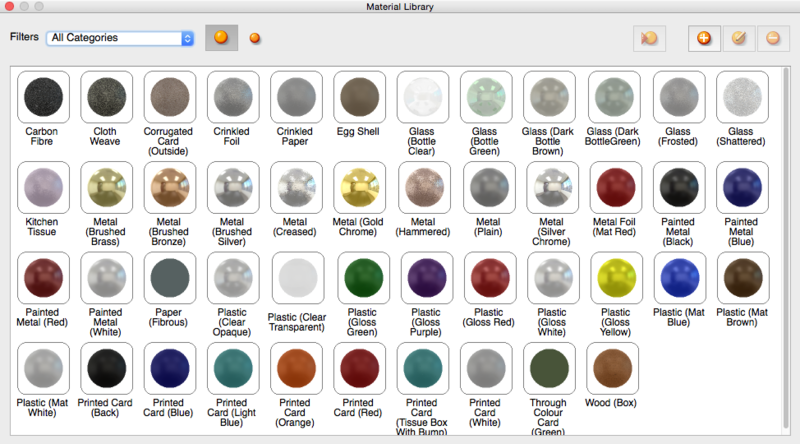 This makes it extremely fast and easy to learn and manage in iC3D Suite. artwork to be directly mapped onto your 3D models as base artwork or as labels. 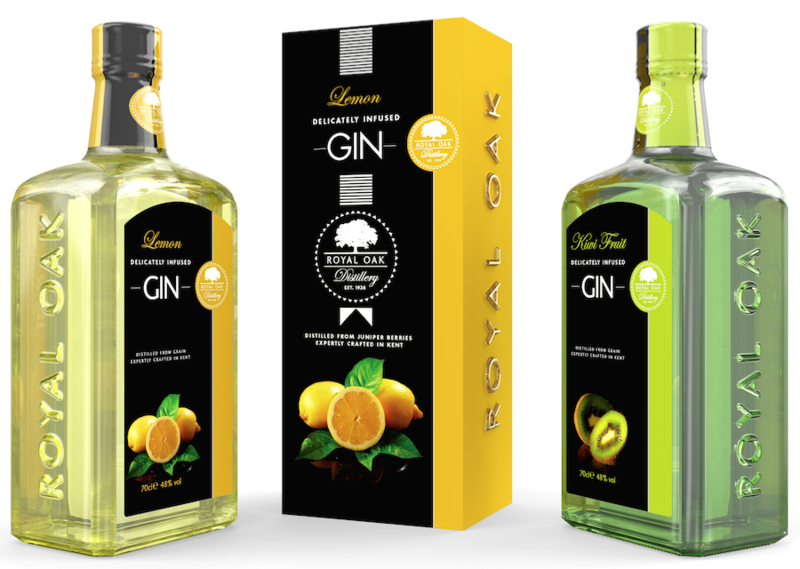 specifically tailored for carton designers and packaging professionals. 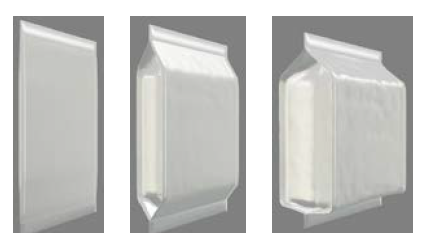 packages including ArtiosCAD, whilst maintaining previously specified cut and fold information. with the same familiar “look and feel” interface. iC3D Opsis - Safe and Secure Remote Sharing of 3D Digital Mock-Ups. 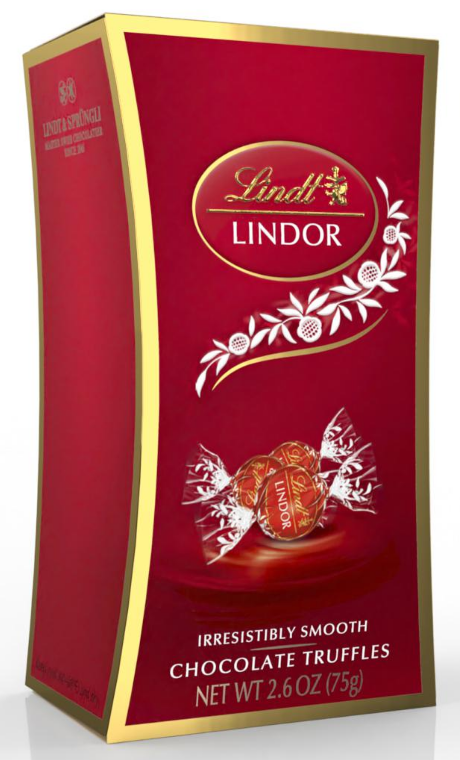 The world’s first realistic 3D packaging design sharing environment. 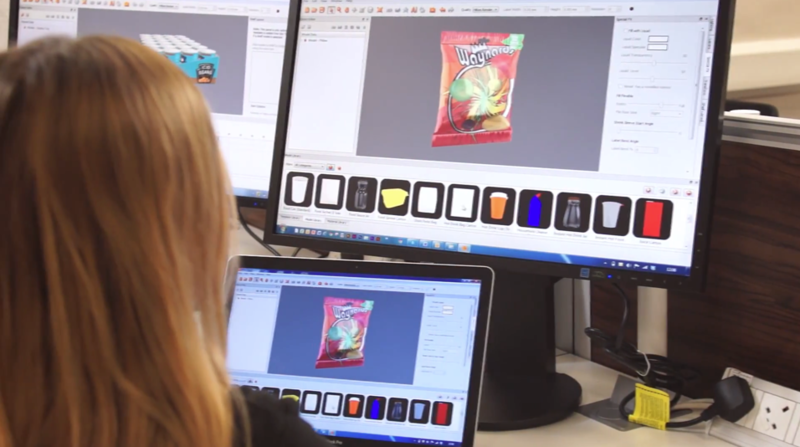 Global sharing of 3D packaging designs & digital mock-ups on any web browser - interactively! 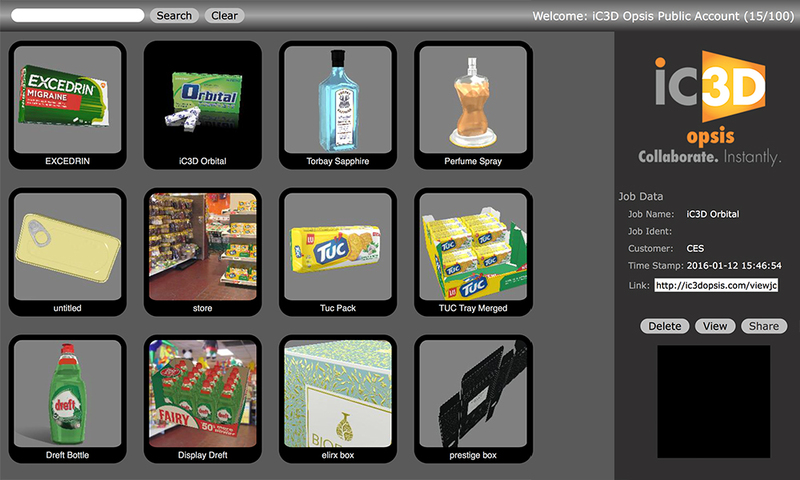 Secure, accurate, web based 3D content sharing solution free to iC3D users via the cloud. and backgrounds, environment effects, including holographic and lenticular 3D-effects. 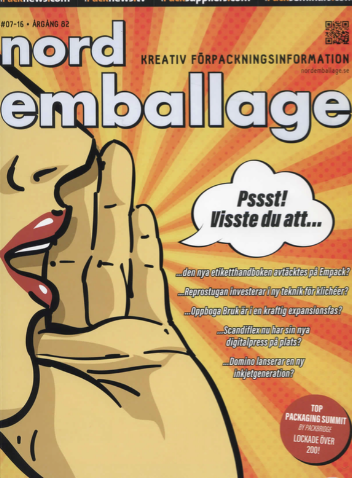 Quickly communicate dynamic design content. Easily manipulate and revise designs on-the-fly. 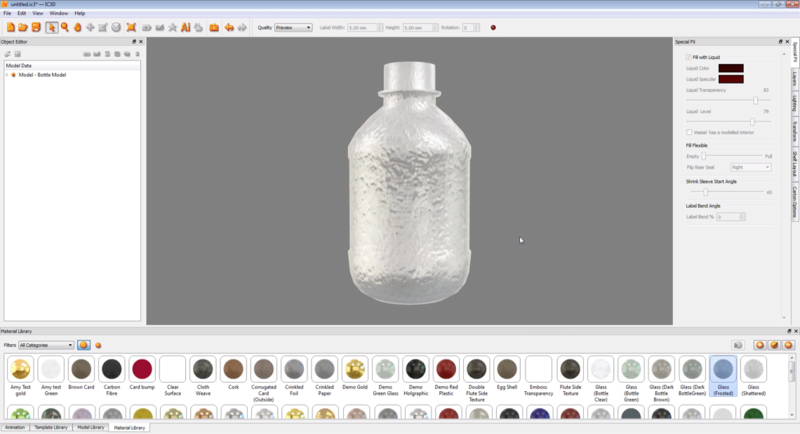 Store up to 100 iC3D models to the cloud. 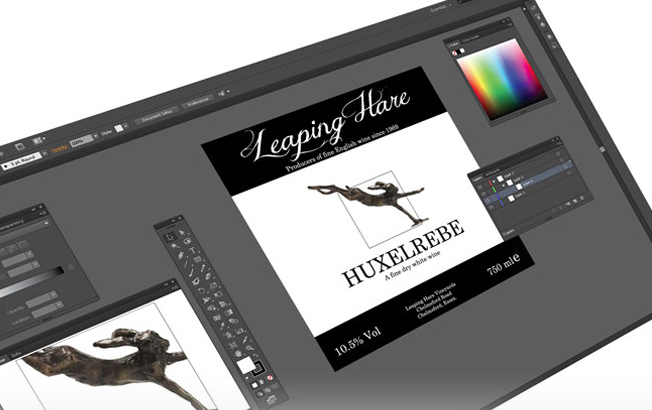 Delivers greater speed to market for your designs. 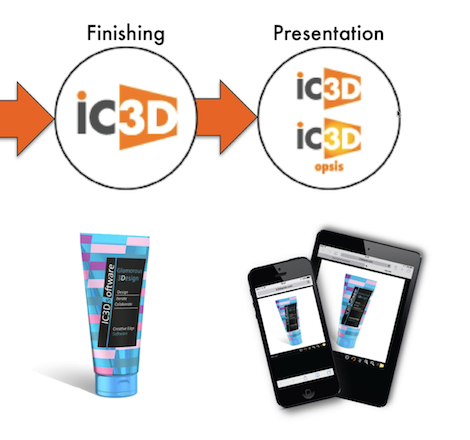 iC3D Opsis is ideal to shorten reviewing and proofing/approval processing. 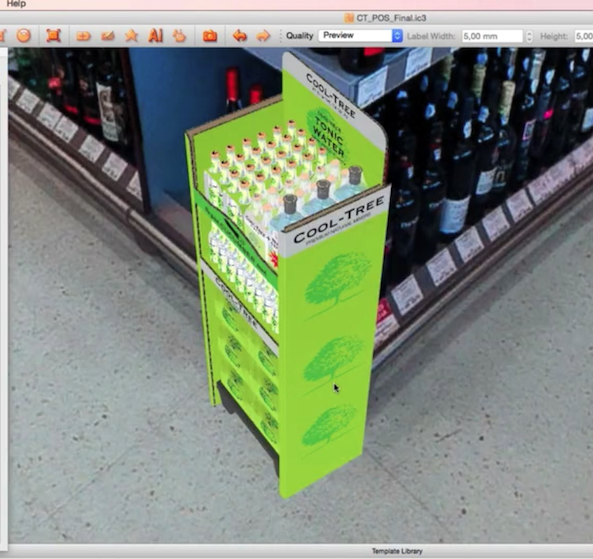 to interactively view, zoom, rotate and spin 3D content on any web browser. showcase their products in the best way. 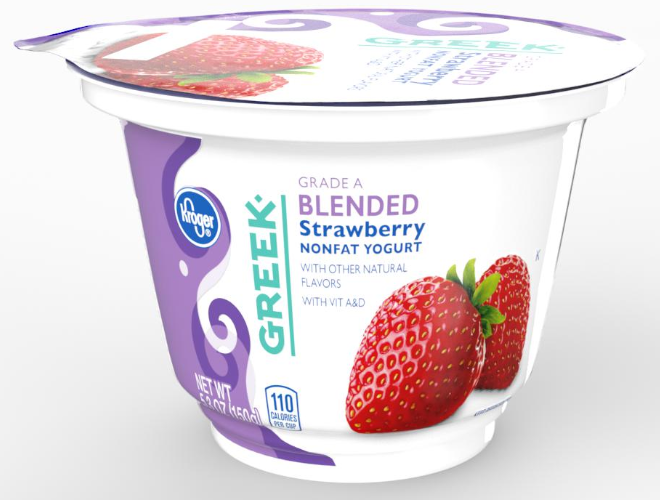 In many packaging workflows a range of product “flavors” has to be developed. those textures and artwork to develop the many different flavors of the original design. Iteration costs a lot of time and money and iC3D Automate does away with it, completely. the type of automation one requires. generating 3D PDF files and Collada files, and much more. work on your next iC3D project. Ray Traced rendering does take more time than just a standard export or "OpenGL" method. at which the images are processed. configuration properly to optimize your time. This would be by setting the "Adaptive Sampling" to "Fastest". from hours to 45 min, depending on the number of cores on the computer. The hardware is a very important item to consider for rendering. multiple processors (cores) for processing the images. A second method is to add some additional hardware to the configuration. the speeds improve even further. High Res images using 32, 64 or 128 samples. Whereas before the exports would be set at 512 or 1024 samples. The overall quality though is the same because of the iC3D processing technology. the processing across multiple computers. establishing their connection to the Render Manager as shown in the picture below. to reduce it to 10 min depending on the core speed of the computers. use a Nvidia GPU on the Rendering Manager Computer. processed faster using the lower sample rate as described before. Thus, the overall time is the fastest processing time you can achieve. 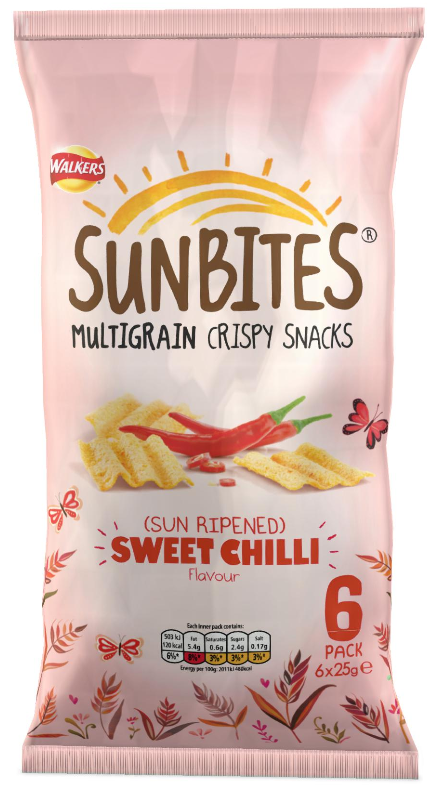 One of the slowest parts of packaging design can be creation of models. Especially if you need to keep changing the model as your concept develops. Model templates in iC3D makes the creation/recreation process faster for common models. 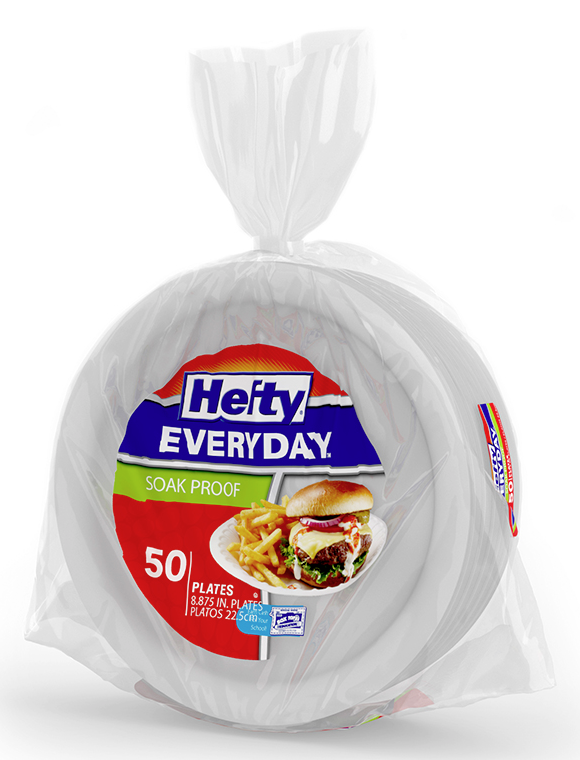 Pouches, shrink wraps, and many more. don’t find the template you are looking for we may be able to create it for you. that are often used to build up a scene. including the ability to rename the scene components for better controls. can be edited in real time. the associated bitmaps can be loaded into iC3D. 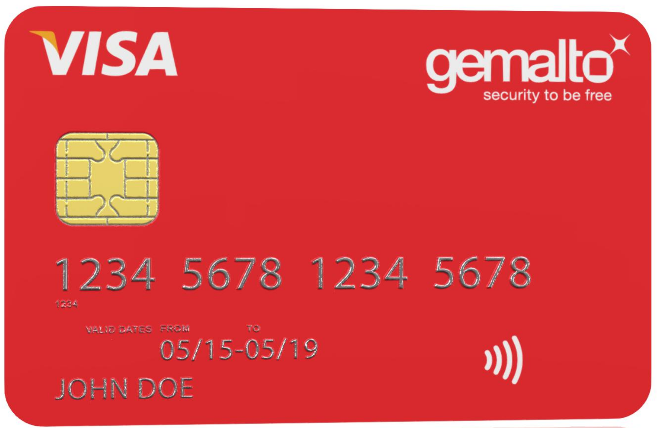 designed to simplify this process for you. using drag and drop to the correct parts of your model or by using the Object Editor. render all changes to models, materials and environments on the fly. meaning you can instantly tweak them to create the effect you are looking for. which provides real time reflection of an environment onto a 3D model. IBL uses HDRI or EXR environments to calculate accurate and realistic lighting. however, unlike a ray tracer it is able to do this in real time. changes instantly updated at full rendering resolution to the model. so your models are shown in the environment of you choices. In addition use the environment as a 3D background for your scene. or discipline under one application. - directly imported from within Adobe Illustrator. different products so they can be compared together. checking how many with fit in the tray. 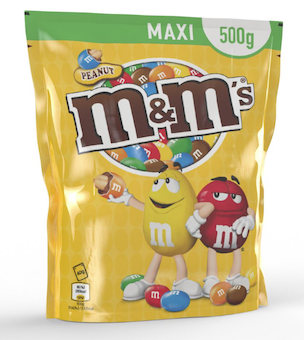 for example changing the colour of the label. display is made up and equally importantly how it will look when finished. 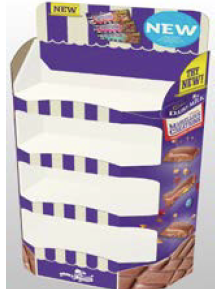 display unit shelves and then accurately visualised using the retail environments supplied. 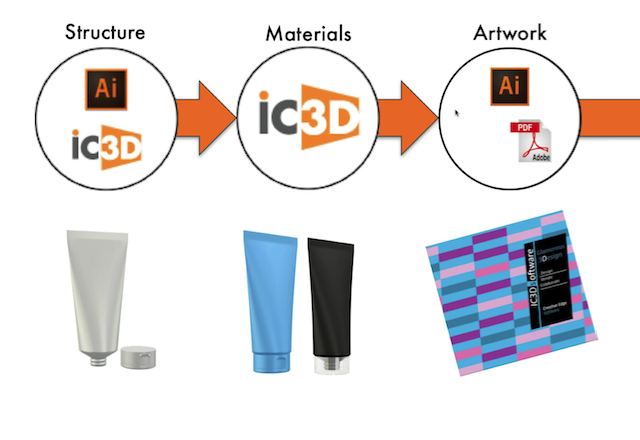 iC3D comes with a plugin for Adobe Illustrator. This plugin allows you to connect iC3D to your copy of Adobe Illustrator. and it will appear on your label or model within iC3D. 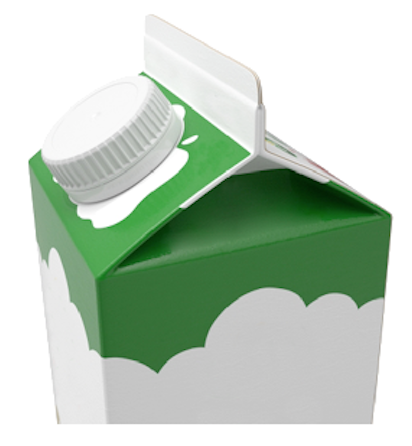 Adobe Illustrator and create an iC3D label linked to it automatically. then be interactively positioned on your model. CAD programmes, such as ArtiosCAD as well as from Adobe Illustrator. These dielines can be split, joined, cut and broken apart as required directly within iC3D. the substrate from our library and generate the 3D model. can be created for export and comment. onto complex models without the need for tedious UVW mapping of texture coordinates. in the first place this can be a considerable time saving. 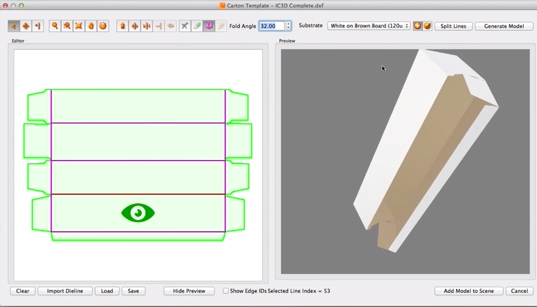 Labels can be seen both in 3D on a model or in 2D using the separate 2D views. These 3D and 2D Views can be exported to PDF to allow for accurate mark-up. 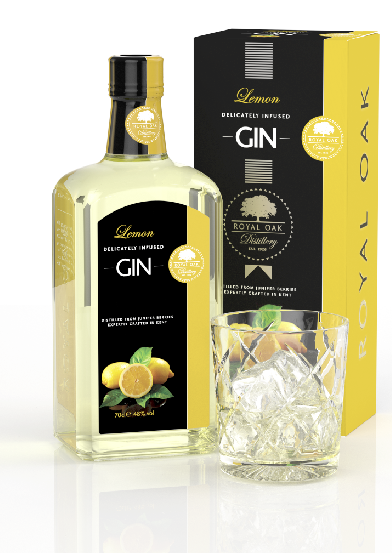 labels to flow smoothly over gaps like ridges in tins/cans or plastic water bottles. 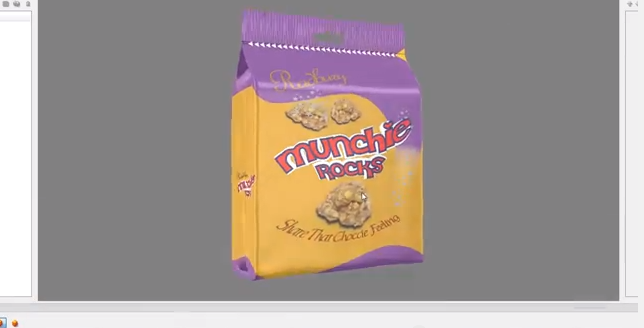 iC3D labels and base artwork can have many effects applied to them. then select which effect to associate with the spot colour. The rest is done automatically for you. iC3D has many predefined effects but allows you to also design your own. All the flexible templates allow the packets to be animated from empty to full. So you can see the effect on your artwork in different states of fullness. you can create your own flexible models using the iC3D Flexible Model Editor. in order to see the effect the liquid has on the design. 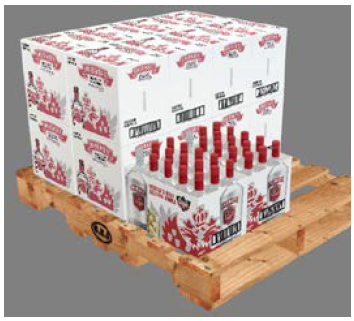 The opacity and colour of the liquid can be individually controlled. creating an even more realistic rendered environment. the impression they are sitting on a shiny surface. 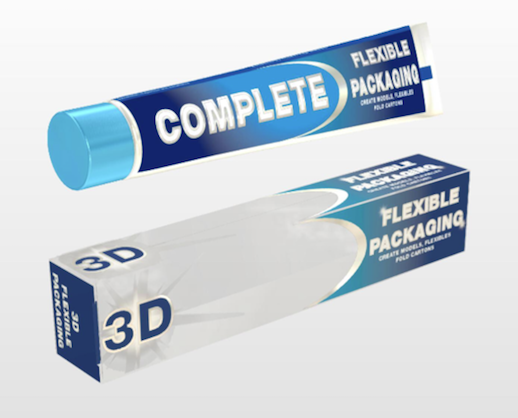 dynamic scenes using cross discipline packaging type. 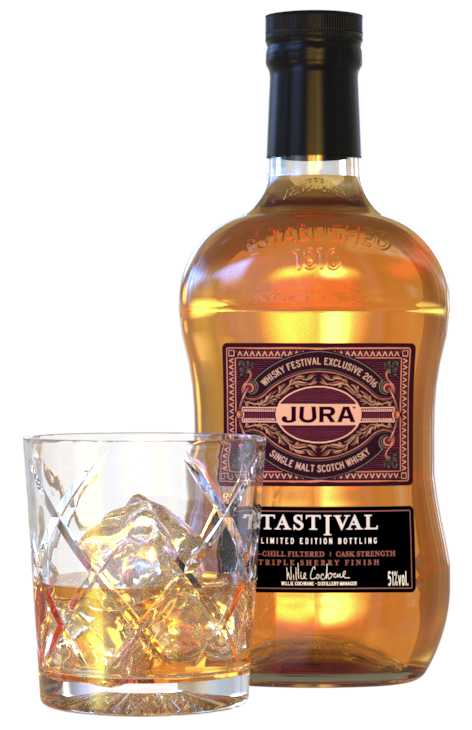 then placed to an equally accurate model of the box the scotch goes in. the materials for the glass and ice are applied. the background is changed to grouse moorland. 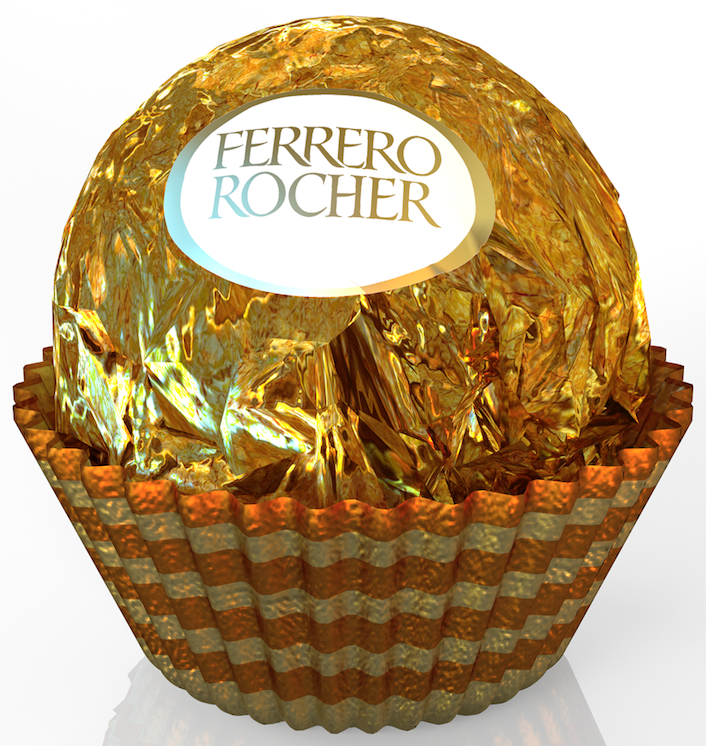 as a high resolution render or as a 3D model for others to view. screen shots of the scene automatically to a PDF for collaborative review and mark-up. 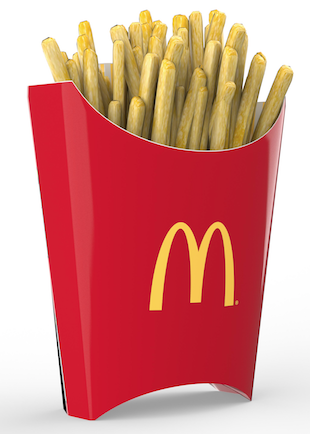 High resolution renders can be exported to be further adjusted in Photoshop. can be divorced from their backgrounds so they can be placed in other scenes. allow for easier collaborative review or mark-up. 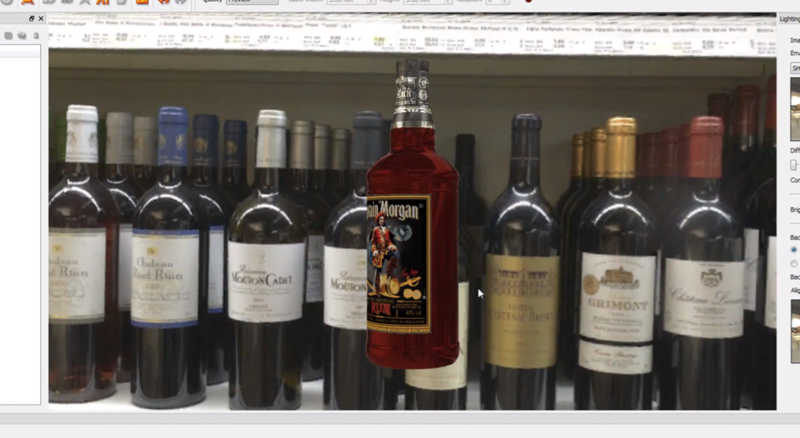 with Adobe Acrobat 3D content and to spin and view 3D object from all angles. or emailed to clients for them to comment in Adobe Acrobat. 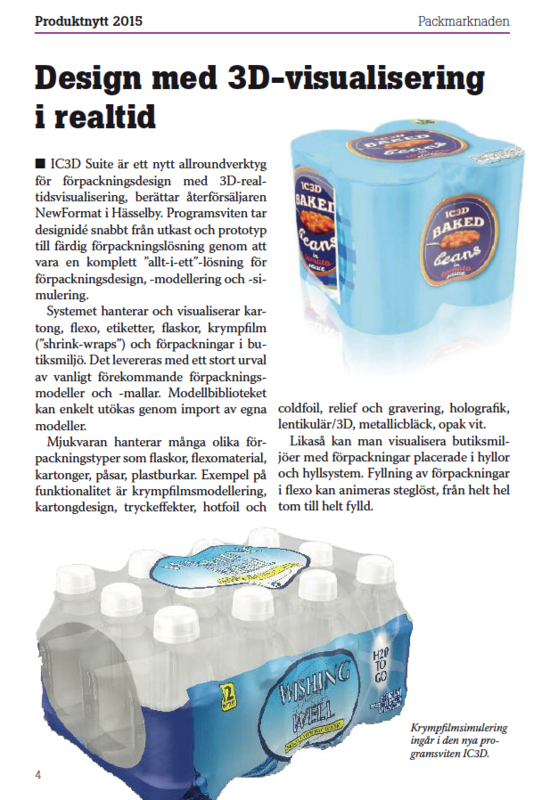 thats is integrated into iC3D Suite and iC3D Carton Edition. STL (Stereo Lithography) format to most leading 3D printers. deliver virtual 3D via email and follow up with printed 3D samples in the post. STL (Stereo Lithography) format for editing in other third party 3D applications. They can then be reimported as Collada and STL files back into iC3D if required. 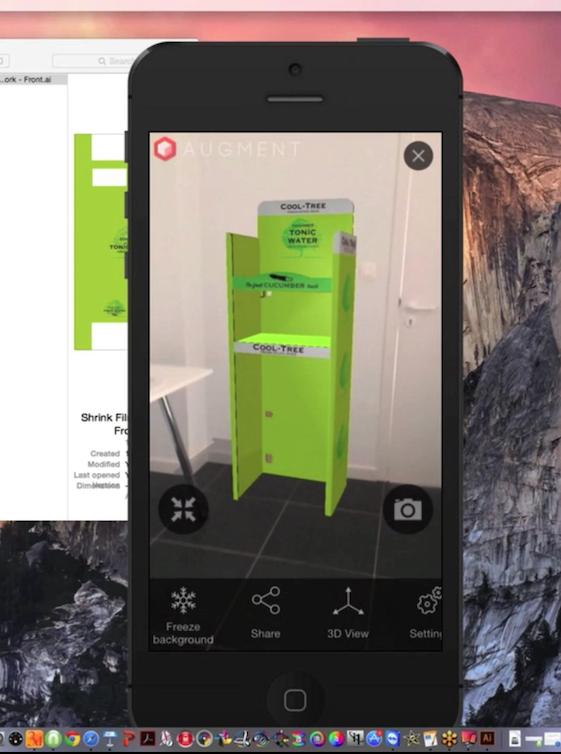 - the augmented reality environment - for an enhanced 3D experience. making it very simple to upload 3D models to Augment (as Collada files). the 3D content to be viewed on other devices and platforms, such as the Apple iPhone or iPad. 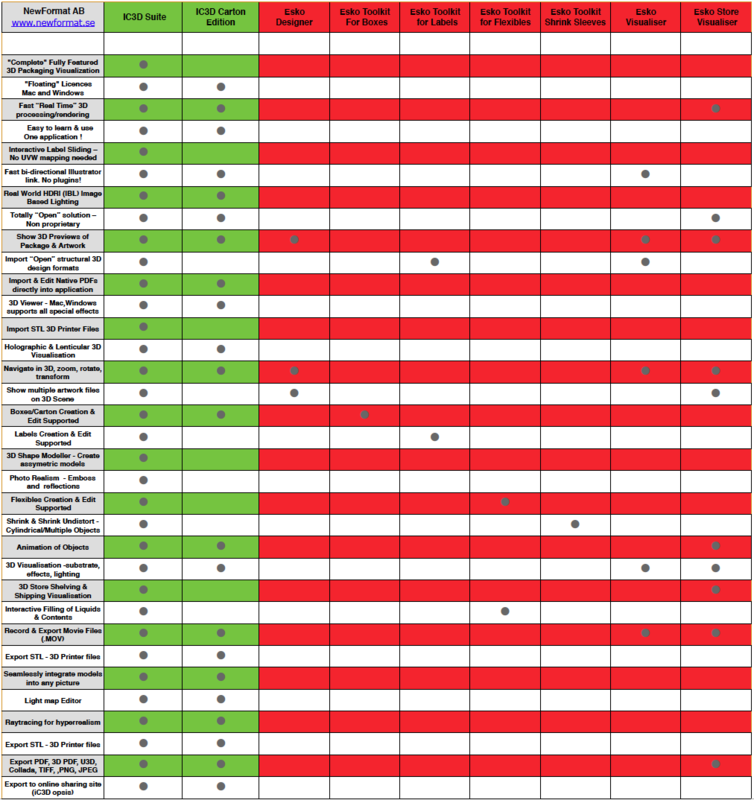 iPhone and iPad compatible movies. to zoom in on a certain section or spin the objects so they can be viewed from all sides. 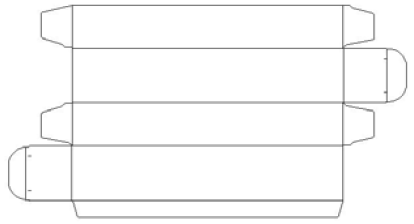 Floating license, for 1 concurrent user. English, French, German, Spanish, Italian, Japanese, Simplified Chinese. 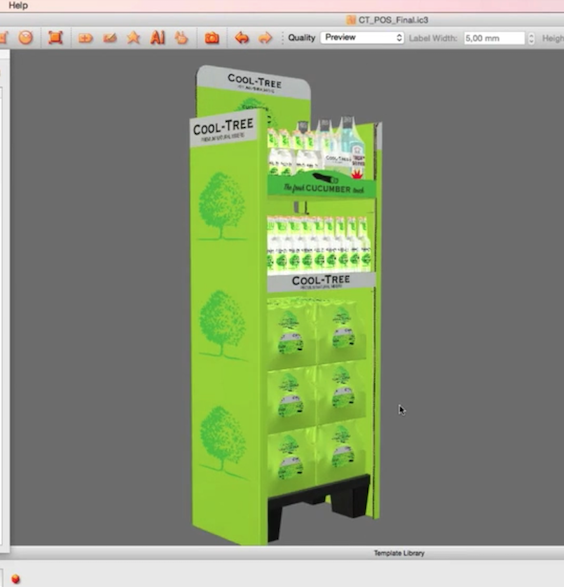 Typical use case where iC3D Suite makes a difference and solves your critical challenge. 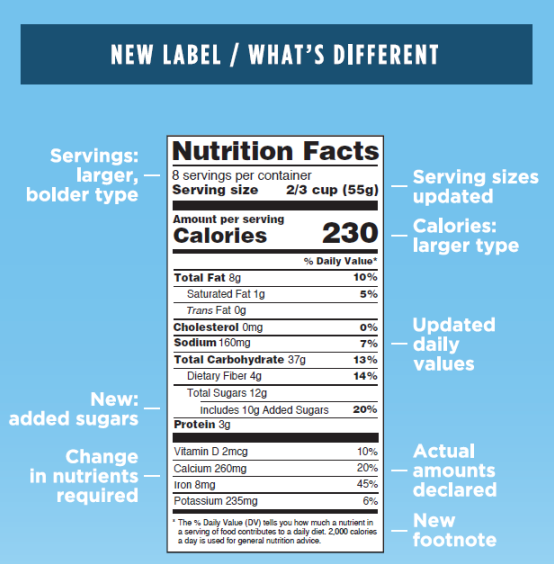 Changes to the Nutrition Facts Panel (NFP). 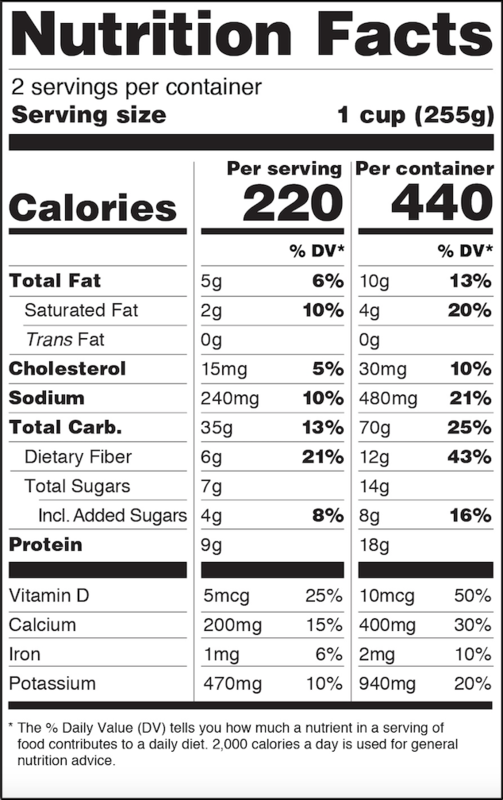 for more standardized, consumer-friendly nutritional labeling. including brand owners, package designers, printers, and converters. Like the older version, the new NFP may not be re-sized, legally. discarded and new designs created for millions of packages. 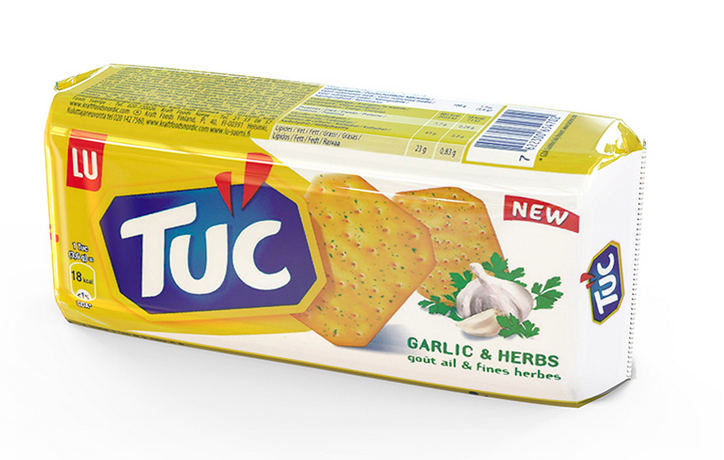 Nutritional claims made outside the NFP will also have to be changed. 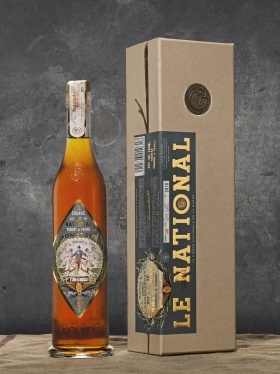 New label / What's the difference? the design and ideation part of those costs can be controlled. these design challenges and possible solutions. 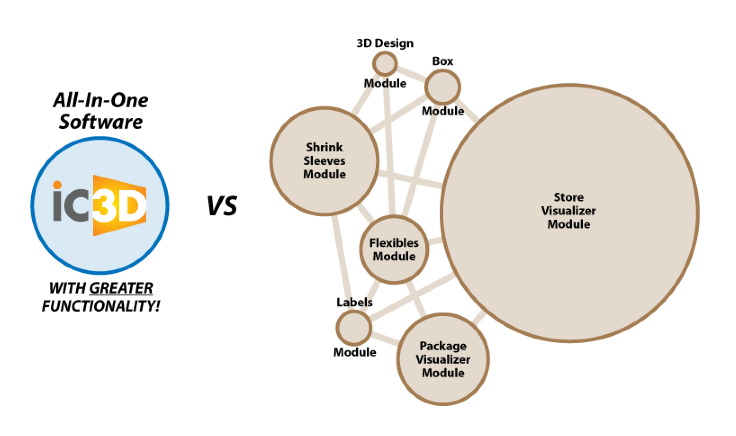 can easily be applied to virtual package models in real time.